I’ve spent some time reading over and thinking about your last three posts (Ransom, practices not objects, what’s an institution, words and pictures, etc). I’m not always sure that I follow your exchanges, which results from my freshness to the conversation, not from any lack of clarity on your part, but I want to. In Mark’s post on Ransom, he gives a good summary of my interests. I’m on the side of those who want to know what they do and why and are concerned that, without knowing, they could waste precious effort on projects of little interest or value, and I don’t think that there’s any particular philosophical or ethical problem posed by such questions as, e.g., of interest or value to whom? Or none not already confronted by any effort to know what one is doing and why. My guess is that you both agree, but if not, it’s a point to which I’m happy to return. Anyway, I see Ransom in these terms, i.e., wanting to know what he does and why, and if there’s a sense that perhaps he finds his answers a bit too easily, without certain worries that it’s hard or impossible for us not to entertain, still, I find that he speaks for something in me when he disparages literature professors who never commit themselves to a literary judgment. For now, I’ll leave to one side the question of what comprises a “literary judgment,” since answering it would simply mean for me knowing what I do and why. But the part of Mark’s post that I’d like to gloss is the relation of its beginning, i.e. the possibility of collaboration as betrayal or complicity, and its thought-provoking end, i.e., Ransom’s self-conscious attempt to say what the professional endeavor in which he’s involved should be. 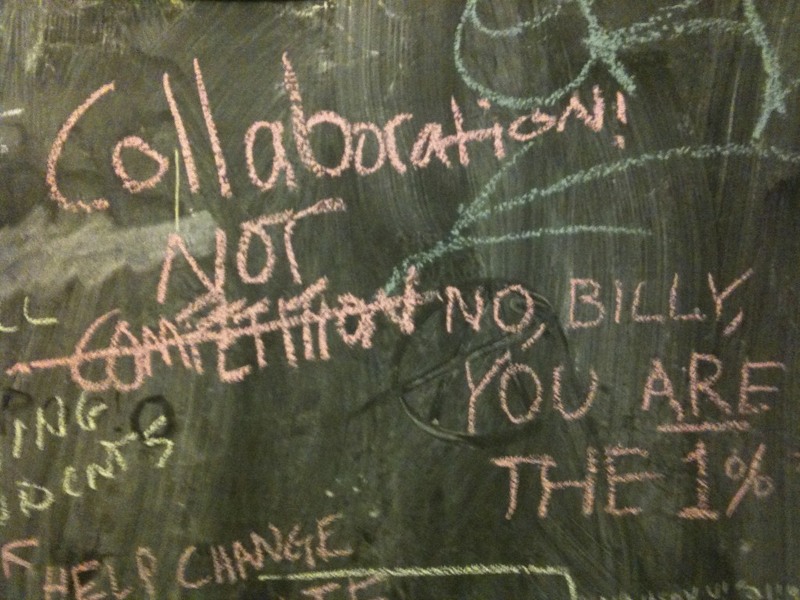 The connection I see is two-fold: First, collaboration involves serious risk, specifically, a risk that one may betray oneself, investing precious effort in projects of little interest or value, or perhaps of interest and value to one’s adversary. To my mind, the sea-change from Ransom’s time has to do with how we might conceive the adversary today, in particular, our inability to identify it with anything as self-contained, objectified, and monolithic as Ransom could or did. However, that increases the risk, making it more likely to be insidious and devastating. (I take this to be no argument against collaboration.) Second, there could be something about the practices v. objects distinction that confounds the effort to say what the professional endeavor in which we/I/you are involved is and why collaboration, despite its risks, is essential to it. I take your point about the objectification Ransom seems to promote. A poem or film might better be conceived as an event or activity or demonstration than a thing. However, the shortcoming of his approach is also one source of its interest: he can hardly conceive of his practice apart from what he practices it on, in relation to or with, and vice versa. Why isn’t that collaboration?